When will be The Monkees next episode air date? 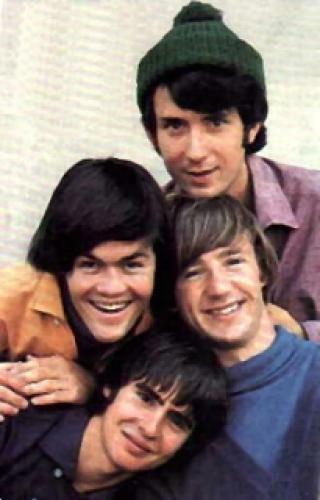 Is The Monkees renewed or cancelled? Where to countdown The Monkees air dates? Is The Monkees worth watching? The Monkees is an American situation comedy that aired on NBC from 12 September 1966 to 25 March 1968. The series follows the adventures of four young men trying to make a name for themselves as rock 'n roll singers. The show introduced a number of innovative new-wave film techniques to series television and won two Emmy Awards in 1967. The program ended on Labor Day 1968 at the finish of its second season and has received a long afterlife in Saturday morning repeats (CBS and ABC) and syndication, as well as overseas broadcasts. The Monkees go to England to try to save a manor village without ending up being stuck there forever. Directed by Peter Tork. Famous DJ Jerry Blavat is judging a band contest. Each band has to be a mix of boys and girls, so the other Monkees make Davy dress as a girl. Meanwhile, an all-girl band dresses one of their members as a boy. When Davy and Daphne meet, romance blooms. A crooked mentalist takes control of the Monkees' minds. This episode is well known for a bonus segment featuring Frank Zappa. Micky Dolenz co-wrote and directed this psychedelic episode about a villain, Wizard Glick, trying to take over the world through hypnotic television. The Monkees next episode air date provides TVMaze for you. EpisoDate.com is your TV show guide to Countdown The Monkees Episode Air Dates and to stay in touch with The Monkees next episode Air Date and your others favorite TV Shows. Add the shows you like to a "Watchlist" and let the site take it from there.